An original first press Blue Note LP 1568 from tenor saxophonist Hank Mobley recently sold at auction for more than $11,000. 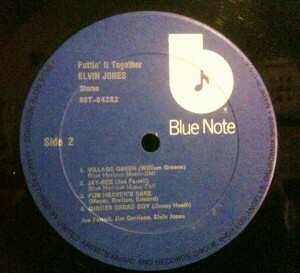 Nearly double the price of the previous record setter for Blue Note. An original Hank Mobley Blue Note 1568 is considered the Holy Grail of jazz records, and has sold for more than $5,000 several times. 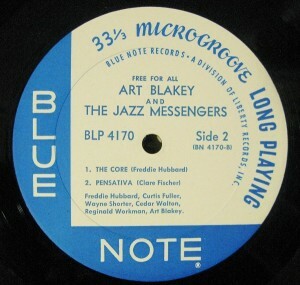 You can see the latest Blue Note auctions here. Another title, Jutta Hipp and Zoot Sims Blue Note 1530 sold for $5117 on eBay back in January of 2012, a number that had many collectors both perplexed and frustrated. That $11,000 dollar Blue Note 1568 price tag has many inside the record collecting community wondering about all sorts of sordid things. But the market is what it is, and It looks as if I will be window shopping from here on out. 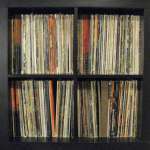 There has been some debate on just how rare some of these records are, many collectors are frustrated that records a few years ago could be obtained by the average man at less that $500, are now fetching well over $1,000. Personally I have a Blue Note collection of about 350 titles, only a few that would command this type of price. An original Art Blakey 4003, and an original Johnny Griffin 1533. Both which can bring 4 figures, but I was just lucky and found those crate digging the record shops. You will need the patience of Job if your hunting Blue Notes at thrift stores, but it can happen. Make sure you know your labels though. I have found six vintage Pre-1967 Blue Note titles sifting through these bins, The Griffin, a Horace Silver – Horace-Scope, Big John Patton – And Along Came John, 3 Jimmy Smith titles: Plays Pretty, House Party, and The Sermon. Don’t let the number of only 6 Blue Notes found discourage you, I have found literally hundreds upon hundreds of other jazz records, as well as thousands of other genres for my collection and my eBay business over the last 5 years or so. So how do you collect Blue Notes on the cheap? 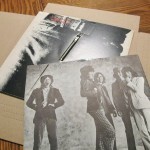 #1: Don’t be shy about collecting second and third pressings, original pressings sonically are thought to be superior, but I can not tell the difference between a 1st and second press sound wise, you could probably buy 5 copies of the second or third pressings with what an original would cost. 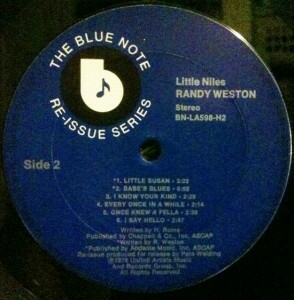 #2: Don’t be shy about buying less than mint original Blue Notes, as long as your buying pre-1967 pressings. 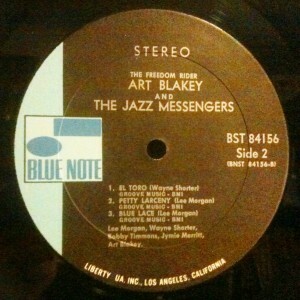 I have found that the 1950’s and 60’s deep groove Blue Note’s hold up tremendously well to surface wear. What does deep groove mean anyway? “Deep groove” is a term used as an indicator that the vinyl being pressed was done so at the Plastylite pressing company. This means it was pressed prior to 1967, and not a Liberty, and usually not a New York USA 1962-1966 issue. Those Liberty issues however are indeed a great value that should not be passed on. I should state also: Blue Note Records after 1962 “typically” will not have deep grooves, except for the occasional one side deep groove and one note. I did have at one time an Art Blakey double deep deep groove NY USA, it was a reissue of a late 50’s recording. 70’s Black and White “b” reissues, these are fantastic sounding reissues, and all mastered by Rudy Van Gelder, these are also still vintage enough, especially the covers. I have over 100 of these in my collection, the label is not traditional however, it has a dark blue label with a stylized lower case black “b” on the label. Overall I prefer these pressings over the post 1967 traditional label Blue Notes, the black b 70’s United Artists pressings are sonically superior in my opinion, certainly the equal of the first Liberty pressings anyway. These 70’s reissues are easily found at dirt cheap prices, 15 to 50 dollars usually, I would stick with Ex-Near Mint copies of these however, as the vinyl is not as thick as the 50’s and 60’s Blue Notes, and does not hold up as well against surface wear. Your focus is the music right? You prefer the sound of vinyl right? Don’t be shy about buying those cheaper 70’s pressings, you can always sell these later if you acquire originals down the road. These 70’s issue will continue to rise in price as well, probably won’t be long and these too will be out of the common man’s price range. The music still sounds great, and unless you have a bionic/audiophile ear, you won’t really know the difference sound wise. All the pre Liberty buy out pressings before 1967 sound great, the 1967 to 69’s are lesser in my opinion, the 70-79 reissues sound very good to me as well. 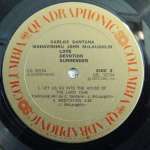 I am more than a little skeptical about the audiophile, I have never heard as wild a difference as claimed, when listening to the originals as opposed to the second or later pressings. I also have my issues with those who say the DMM Direct Metal Masters 80’s issues are horrible. It’s all a matter of taste, I know those are dirt cheap and should not be cast a side as an option. I have Several Dexter Gordon Blue Notes that are DMM and they sound fine to me. The point is, you can enjoy the hobby and the music on a budget. Blue Note Collecting Tips: If you are just getting started collecting Blue Note, I highly suggest you check out my important things to know page, so you don’t waste your money. 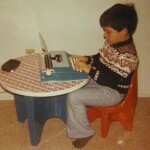 Note: this article was originally written in 2009 and moved to this site in 2015. Some errors were corrected, and a few clarifications as well. I agree with everything you say. I recently sold and original Sonny Clark Cool Struttin’ that was in “Good” condition for $600 on ebay. 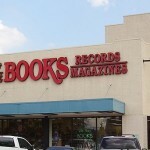 I can buy tons of cheaper reissues with that cash (and I have!). I do not have any of the Music Matters reissues, but cannot justify spending $40 to $50 for them when there are perfectly fine reissues out there. 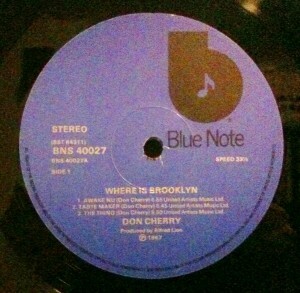 I have lots of less than perfect original pressings, too, so I know what an original Blue Note sounds like. I also like the 75th Anniversary Blue Notes just fine-I have not found any warps or problems with them, although I’d rather have a less than perfect RVG mastered record than any of the digitally remastered reissues. I will draw the line though with the Scorpio CD mastered reissues.